Beginning November 27, 2018 through December 12, 2018 the U.S. Department of Veterans Affairs (VA) will accept public comments on how to implement certain changes to the Program of Comprehensive Assistance for Family Caregivers (PCAFC) required by the VA MISSION Act of 2018. The VA MISSION Act of 2018 expands eligibility for PCAFC to family caregivers of eligible Veterans who incurred or aggravated a serious injury in the line of duty before Sept. 11, 2001 using a phased approach, establishes new benefits for designated primary family caregivers of eligible Veterans and makes other changes affecting program eligibility and VA’s evaluation of PCAFC applications. Submitted responses will be used to guide future regulatory modifications and implementation of the expanded PCAFC. The Federal Register notice and comment submission form can be found at https://www.federalregister.gov/documents/2018/11/27/2018-25763/notice-of-request-for-information-on-the-department-of-veterans-affairs-program-of-comprehensive . 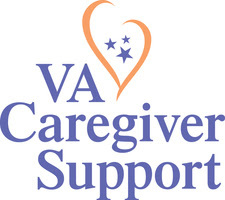 Provide you with information about assistance available from VA.
Connect you with the Caregiver Support Coordinator at a VA Medical Center near you. Just listen, if that's what you need right now. If you're just getting started with VA, calling the Caregiver Support Line at 1-855-260-3274 is a great first step to learn more about the support that is available to you. Keep updated & let us know how we're doing. You have received this message because you are subscribed to Veterans Health. Access your Subscriber Preferences to make changes to your subscription or Unsubscribe. Get this as a forward? Sign Up to receive updates from Veterans Health. Having questions or problems? Please visit Subscriber Help for assistance. If you are a wartime veteran, or a family member of a wartime veteran, you have probably heard conflicting information regarding proposed changes to the eligibility rules for the Aid & Attendance Pension (A&A) offered through the Department of Veterans Affairs (VA). This is a brief summary of the eligibility requirements for the current A&A rules, and an update on the proposed rule changes. 1. Service: applicants must be “wartime” veterans (or their spouse/dependent). “Wartime” means at least 90 consecutive days of active duty service, at least 1 day of which was during a recognized wartime period. 4. Assets: applicants may not have significant assets. • Limitations on qualifying medical expenses. The proposal was largely aimed at counteracting perceived abuses of the program (i.e. applicants sheltering significant assets in order to qualify for the benefit). However, the statistics do not support these concerns. 2015 U.S. Census data shows approximately 19 million military veterans alive in 2014. VA utilization data from 2012 shows only 315,000 recipients of A&A benefits. In other words, only 2% of veterans receive the A&A benefit. The health and service requirements are non-negotiable, and, the purpose of the A&A benefit is to assist veterans with significant health expenses. It is relatively unlikely that individuals with significant liquid assets (available to pay significant health expenses) would elect to relinquish complete control of these assets to gain additional tax-free income – especially when significant assets might generate similar amounts of income (though not tax-free). Following the release of the VA’s proposal, there was a public comment period (in the spring of 2016), during which the proposed changes were heavily scrutinized and challenged by attorneys and veterans’ advocacy groups. As a result, the VA has gone “back to the drawing board”, and recently indicated that the final changes will not be released prior to April 2017. So what does this mean for you? There is still time to plan for VA eligibility under the current rules – which are far less restrictive than those which are likely to be promulgated after April 2017. For example, establishing a VA-planning trust now will likely not be retroactively subject to the proposed 3-year “look back” period. Additionally, individuals in independent-living facilities are presently able to use certain planning techniques to achieve eligibility, which will not work after April 2017. A highly sophisticated scam targeting veterans is making its way around the United States. This new scam is targeting disabled veterans and the veterans applying for disability compensation. This highly sophisticated scam makes use of new telephone technology that gives the impression the scammer is actually calling from a veterans' local VA Regional Office. Question: VA removed 20% from my medical disability and I was not aware of this and I would like to know if there a way to get this percent back? Question: I have a claim in appeal process. I was stationed at Anderson AFB Guam from Oct 68 to Jan 1970. While there I went to Cameron Bay South Vietnam the last week of Oct 1969 first week of Nov 1969, went back to Guam and was processed out honorably discharged Jan 1970. I was paid while in Vietnam. I have requested my pay records but was told the VA does not have any record of my pay records. I have made my claim in April 2013. My question, How can I prove I was in Vietnam without orders? Question: I am a member of Veterans choice. I recently went to my assigned doctor for a wrist problem. He told me to get an x-ray, so I went to the local hospital and got one. I've been tormented by them ever since demanding $400. Nobody told me I would have to contact VA first. What am I to do?